Alcohol don't burn in cold weather. Helph me bust this Urban Legend started by backpackers. 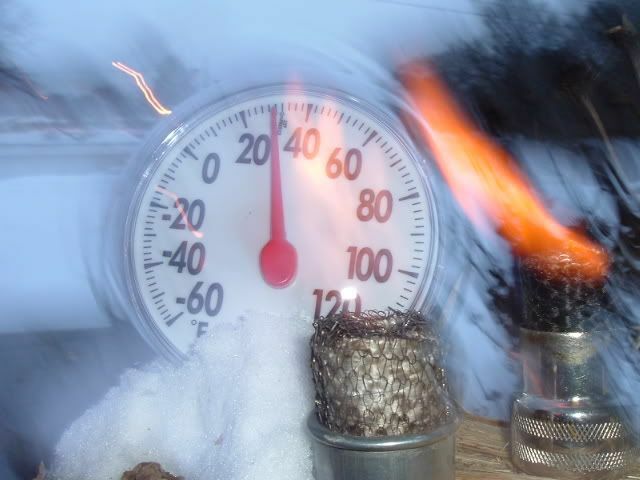 I'm going to try and make some 16 second movies of alcohol lighting in cold temperatures to dispell the myth/legend that it don't burn when it's cold. Burning alcohol is almost invisible so Nichrome wire was used to show where flames are passing by the wire. They glow red hot but are not consumed by the flames. The burner is a "StarLyte"
Dark background makes the flame show up a little. Re: Alcohol don't burn in cold weather. Here are more photos, different temperature and burners. All using denatured alcohol. 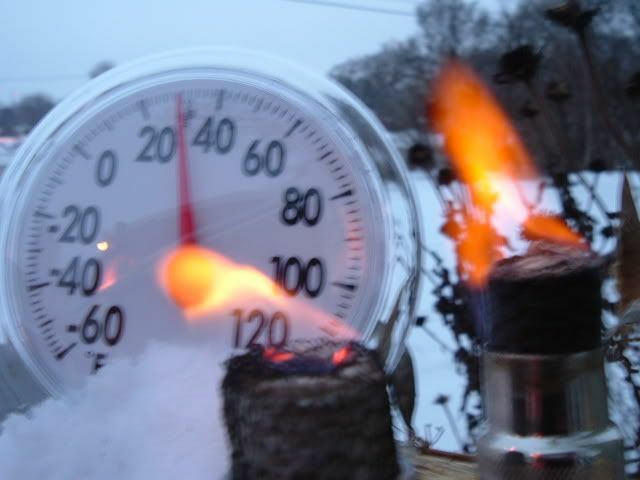 Are there any drawbacks to using alcohol at temperatures around 0 deg F other wise? I gave away my MSR Whisperlite (my former winter stove) and was planning on using my Bushbuddy this winter but would also consider bringing along one of my alcohol can stoves. 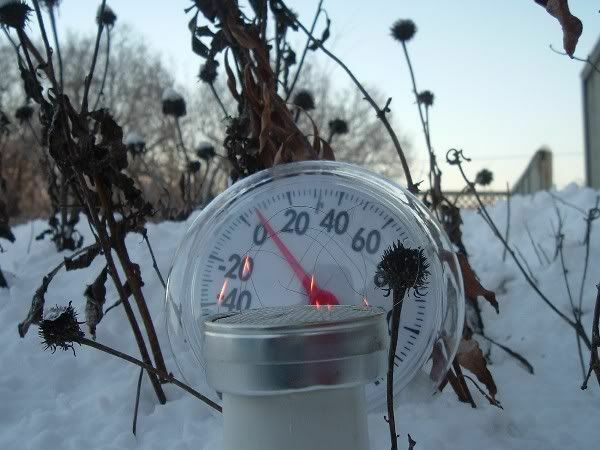 samh wrote: Are there any drawbacks to using alcohol at temperatures around 0 deg F other wise? I gave away my MSR Whisperlite (my former winter stove) and was planning on using my Bushbuddy this winter but would also consider bringing along one of my alcohol can stoves. 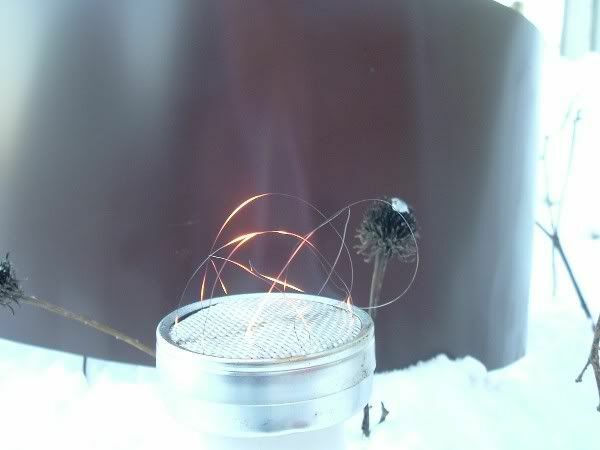 Hi Samh, I have only tested burners that have fiberglass wicks in them as shown in the photos. Lots of fuel right out in the open to mix freely with oxygen. I would say that the shallow can stoves with large diameters would work ok without wick material. The little ones that are deep and small in diameter I think would be a hassle. 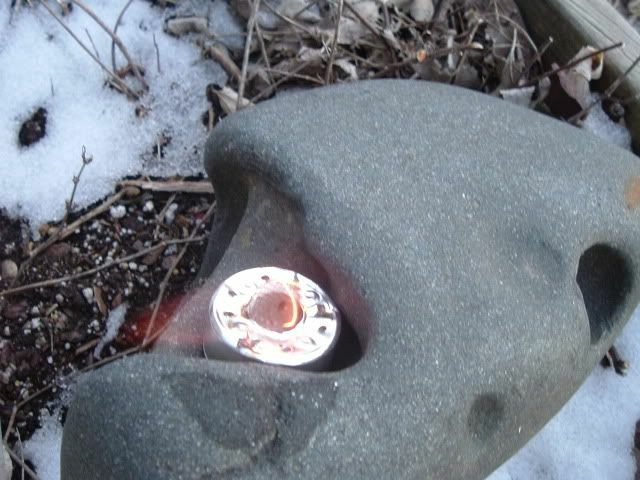 I tested the Ion design in cold temps, difficult to light and maintain. 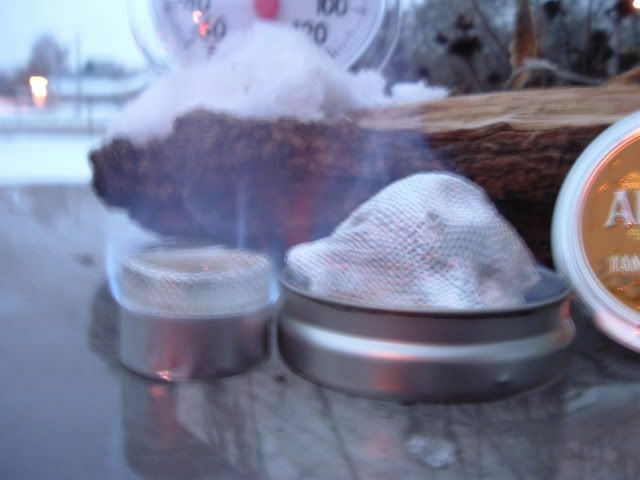 Burning wood wood be my first choice The Stainless steel mesh globe stove made out of an after market replacement stailess steel globe for double mantel lanterns has been working out well for me and others. How well has the Bushbuddy worked out for you? I don't believe the double wall to be of any significant value in any backpacking stove. I have modified a Sierra Zipp stove to be a single wall and found that it performed better than the original double. Did side by side comparisons on the bench. The Bushbuddy sure does look nice and seems to be of the utmost crafstmanship. I've only seen photos. 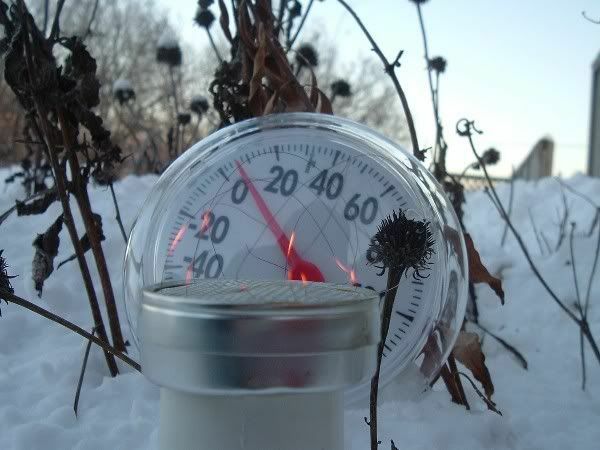 Wood stoves need to be of a good size to accomidate enough wood for one filling to boil 2 cups. The Globe is just right. You might consider testing the "StarLyte" I'll send you a sample to test in the frigid area where you live. Isn't it the coldest place in the nation, Deluth? If you'ld like a sample give me your address in a PM. I used an ion stove the other week. The temp was in the teens. I usually use a wood burner in the winter but wanted to try out the alcohol. Should have taken a photo for this thread. Next time. No wick stove to run it against though. Plan to make one, just haven't gotten around to it. russb wrote: I used an ion stove the other week. The temp was in the teens. I usually use a wood burner in the winter but wanted to try out the alcohol. Should have taken a photo for this thread. Next time. No wick stove to run it against though. Plan to make one, just haven't gotten around to it. did you use a primer pan to light it? Or did you stick a wooden match into the fuel and leave it there to burn along with the fuel? Hey samh, It was International Falls, Minnesotta that I was thinking of not Deluth. Primer pan. Plus I kept the alcohol in my pocket, so it wasn't below freezing though the air temp was. russb wrote: Primer pan. Plus I kept the alcohol in my pocket, so it wasn't below freezing though the air temp was. See how interesting this alcohol burning thing is. Put alcohol in a shallow priming pan and it lights just fine. There is plenty of oxygen there all around the fuel. 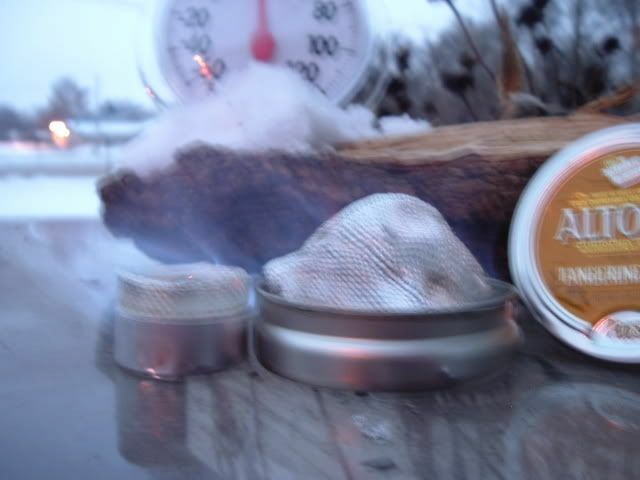 An open wedding favor tin is more likely to light than one that is covered with a 1 inch hole in it and contains 1/2 ounce of fuel. 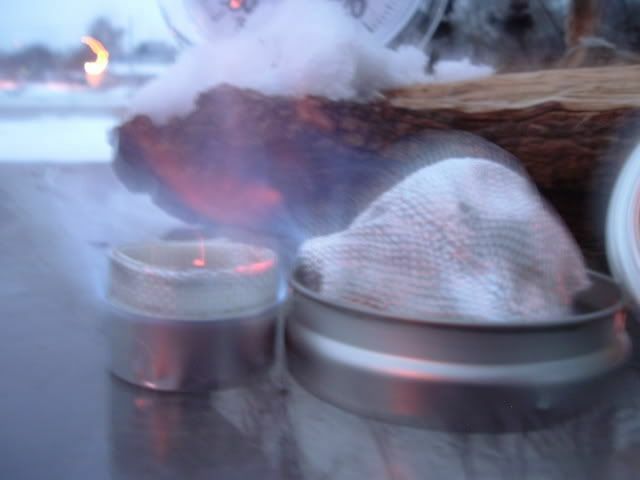 The "Starlyte" is a wedding tin that is filled with a wicking material that by the process of capillary action brings the fuel right up to the surface of the tin where the most exposure to oxygen takes place. I'd like to test out a starlyte sometime, but I think my next project is still the fancyfeast stove. I haven't gotten the mesh yet. Too busy camping and not enough time building. I'd rather be in the bush than the workshop though. My next trip is Jan 5th and the low temps average around 2F in the adirondacks at that time, I will bring the ion and see how it works. Of course I will not be relying on it, I will be carrying it only for test purposes. russb wrote: I'd like to test out a starlyte sometime, but I think my next project is still the fancyfeast stove. I haven't gotten the mesh yet. Too busy camping and not enough time building. I'd rather be in the bush than the workshop though. My next trip is Jan 5th and the low temps average around 2F in the adirondacks at that time, I will bring the ion and see how it works. Of course I will not be relying on it, I will be carrying it only for test purposes. my ion clone has been slow to get going in my garage... anywhere from 30-40 degrees. you might be successful - but it will take awhile for it to get your water warm.